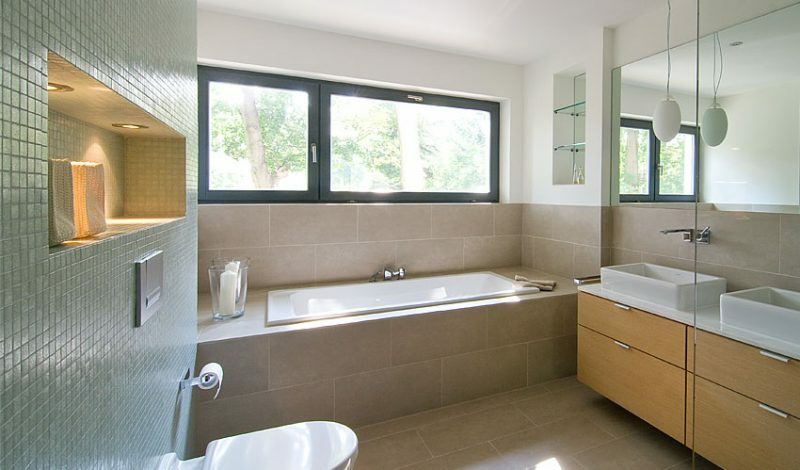 This family of six didn’t want to compromise when it came to style or storage for the main and guest bathrooms of their new house. 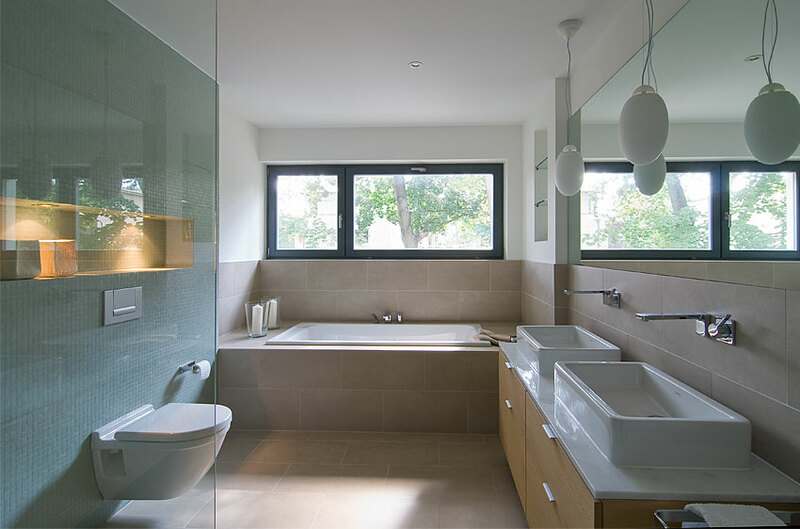 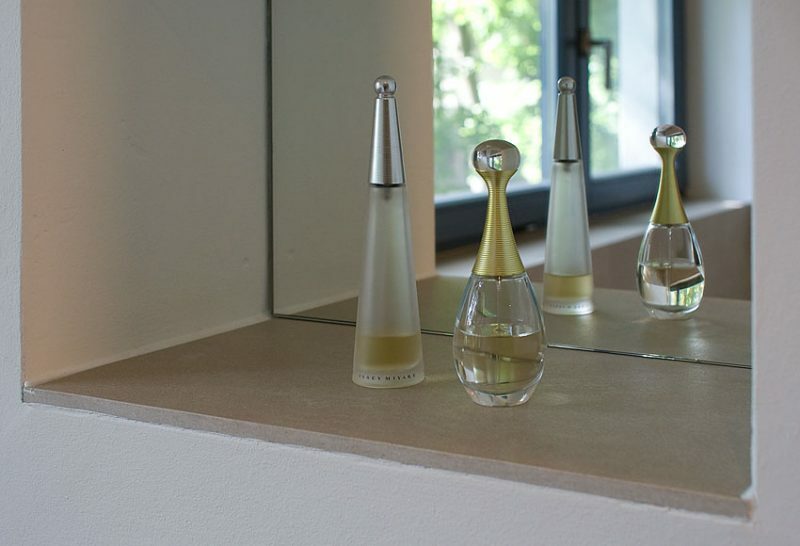 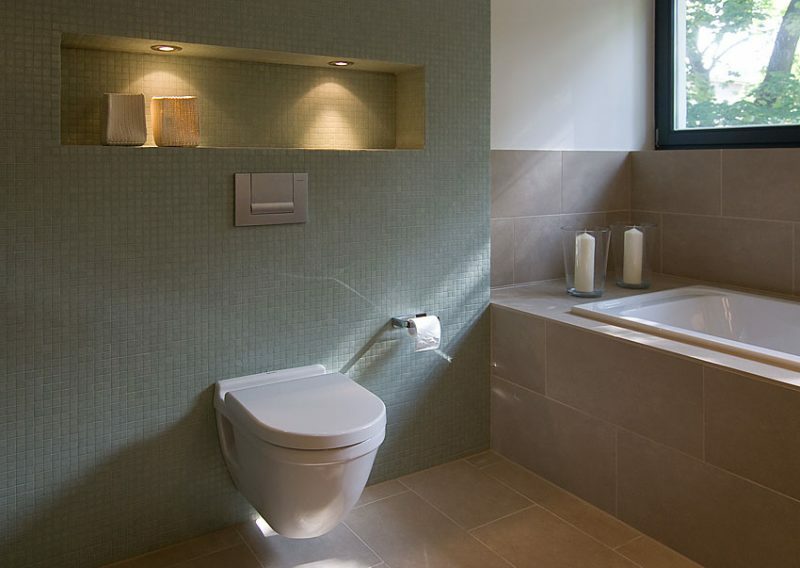 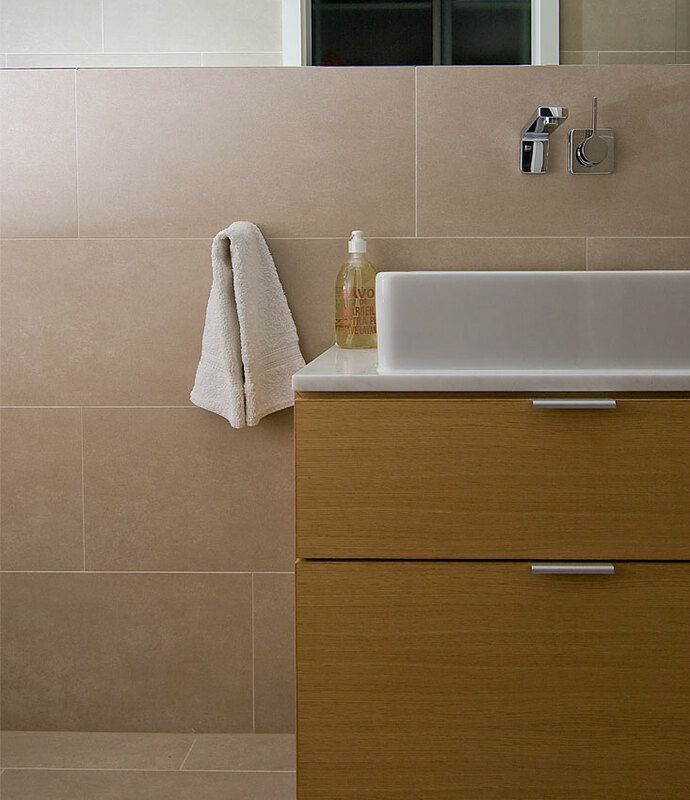 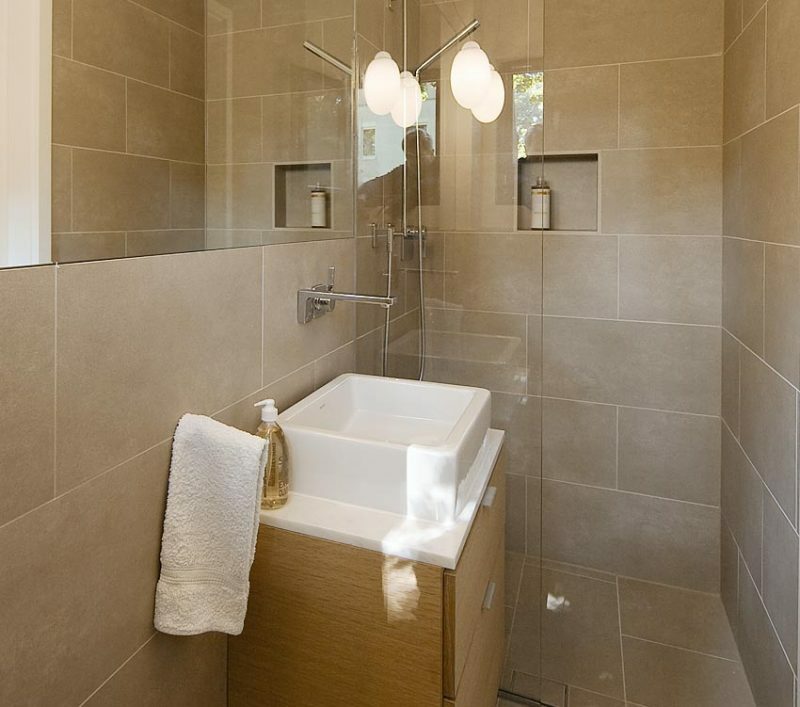 Using beautiful materials and investing in higher end fixtures can elevate your bathroom from ordinary to extraordinary. 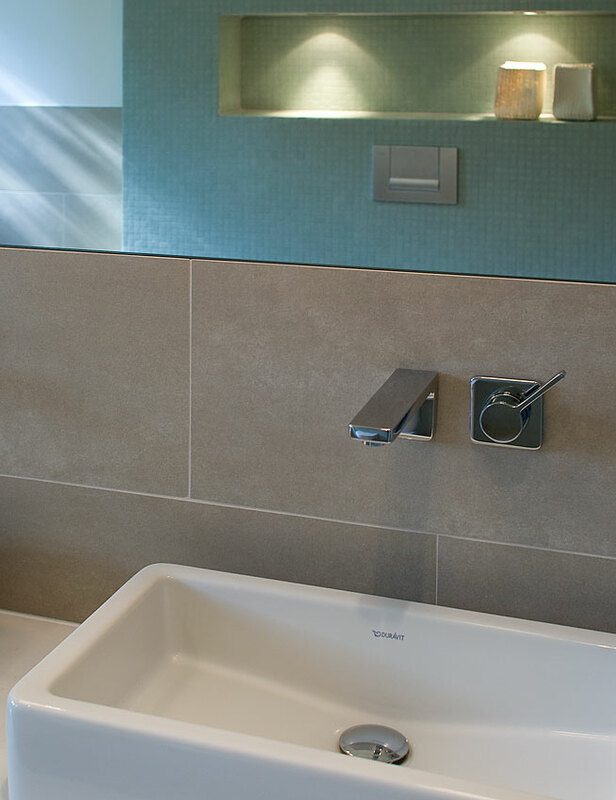 The Dornbracht LULU series shown here adds a sculptural detail with it’s unique design carried throughout the two bathrooms. 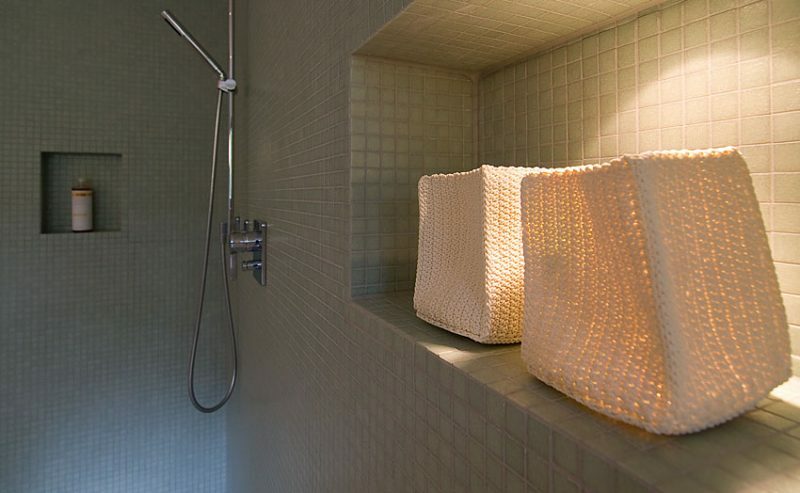 Pale green mosaic tiles, the large mirror,and suspension lights all combine to create a bright and airy space. 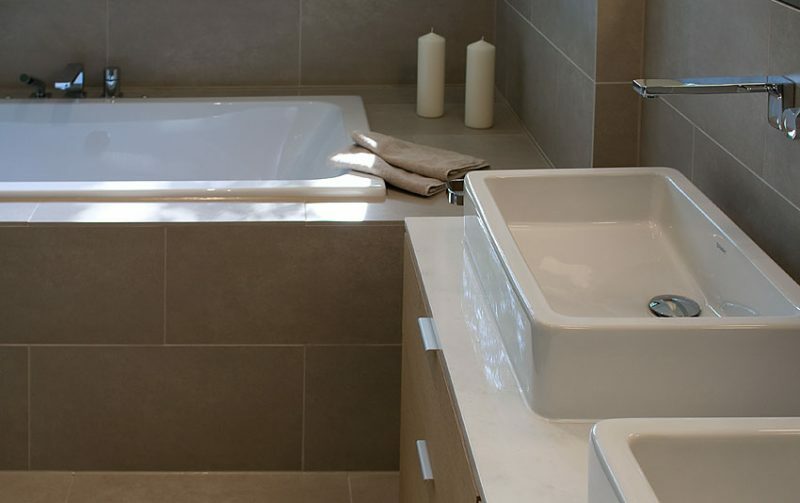 The placement of the bathtub under the large window allowed for a more open feel and the recessed wall niches add style and decorative storage. 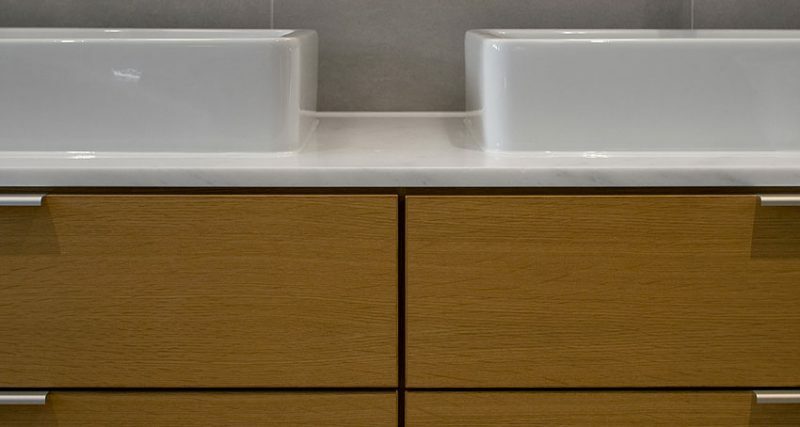 The custom designed, marble topped, double oak vanity was created specifically for this project and implemented by the master carpenters at Raumprojekt.